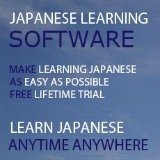 In Japanese, we often use すぎる sugiru or すぎます sugimasu to indicate that the degree of an action or a state is excessive. 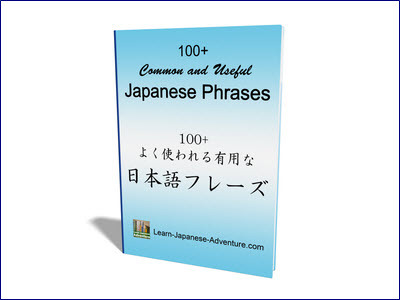 In this lesson, you'll get to learn how to use this Japanese grammar to show that something (action or state) is too much. It's often not so good to overdo something. Therefore, すぎる sugiru is usually used in reference to undesirable states. Note that after converting to すぎる sugiru, the result becomes a Group 2 verb and therefore conjugates in the same way. 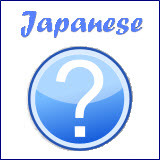 For example, 食べ過ぎる (tabesugiru)、食べ過ぎない (tabesuginai)、食べ過ぎた (tabesugita), etc. Meaning: Mr Tanaka is feeling bad because he ate 10 hamburgers. He ate too much. Meaning: Mr Yamada cannot stand up anymore because he drank 5 bottles of wine. He drank too much. Meaning: Mr Suzuki's throat is painful because he sang for 6 hours at the karaoke lounge. He sang too much. The above examples using すぎます sugimasu all deliver the speaker's negative feeling. But it really depends on the speaker's personal feeling. He or she will use すぎます sugimasu only if he or she has a negative feeling. In Example 1, if you ate the same amount of hamburgers and you're feeling OK, you can say 沢山食べました (takusan tabemashita - ate a lot). However, if you feel like vomiting or if you're feeling bad after eating, you're definitely eating too much. Then it's better to express your negative feeling using 食べ過ぎました (tabesugimashita). In Example 2, if you drank the same amount of wine and you're feeling fine, you can say 沢山飲みました (takusan nomimashita - drank a lot). However, if you cannot stand up anymore and somebody has to bring you home after drinking so many bottles of wine, you're drinking too much. To express the negative feeling, you can say 飲みすぎました (nomisugimashita). Similarly, in Example 3, if you sang for the same length of time and still felt alright, you can say 沢山歌いました (takusan utaimashita - sang a lot). However, if you cannot speak and talk the next day after singing for so long, you're singing too much. Hence, to express the negative feeling, you should say 歌いすぎました (utaisugimashita). Meaning: This pair of trousers is too long. Meaning: This shirt is too big. Meaning: I cannot buy this car because it's too expensive. Meaning: I cannot read this book because it's too complicated. Meaning: This game is not interesting because it's too easy. Similar to the examples using verbs, the above examples (using adjectives) also express the speaker's negative feeling. 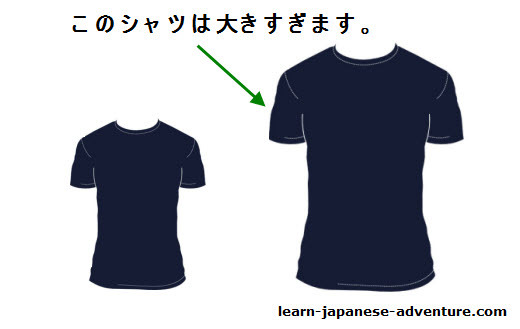 For example, the pair of trousers is long but if you still can wear it, you just say このズボンは長いです (kono zubon wa nagai desu - this pair of trousers is long). However, if it's too long that you cannot wear it unless you make some alteration, then you should say このズボンは長すぎます (kono zubon wa nagasugimasu) to express your negative feeling. You can convert すぎる sugiru to nouns but that's only for verbs. Meaning: Smoking too much is bad for your body (health). Meaning: Drinking too much is bad for your body (health). Meaning: Exercise too much is bad for your body (health). It really depends on the speaker's personal feeling to use すぎる sugiru. If there're 2 persons A さん and B さん. A さん is poor and B さん is very rich. Suppose both of them have $500 in their wallet today. For A さん, he will probably say 今日はお金を沢山持っています。 (kyou wa okane wo takusan motte imasu - I have plenty of money today). However, for B さん, he usually carries more than $5000 in his wallet. So $500 to him is too little. Therefore B さん will probably say 今日はお金がなさすぎます。 (kyou wa okane ga nasasugimasu - I have too little money today).